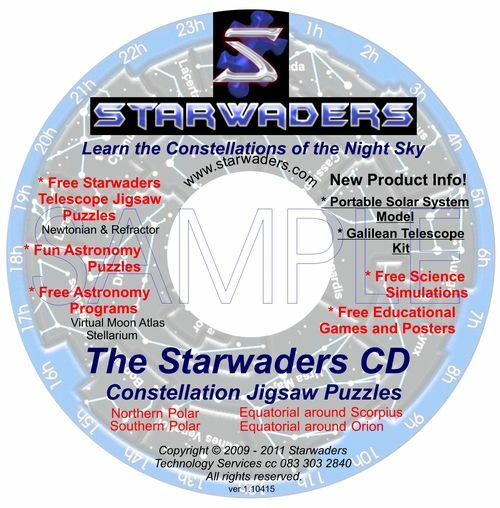 The Starwaders CD made its debut at the annual Scopex exhibition of astronomy and telescopes at the Military Musem in Johannesburg on 17th April 2010. The Starwaders exhibition was busy from 9 in the morning until close at 8 in the evening. 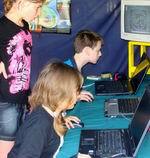 Young people spent hours building the puzzles, competing with each other for the fastest times and experimenting with the Science Simulations. Adults were fascinated with the constellation jigsaw concept and CDs were bought for themselves or their own childrens' use or as birthday presents for other children.